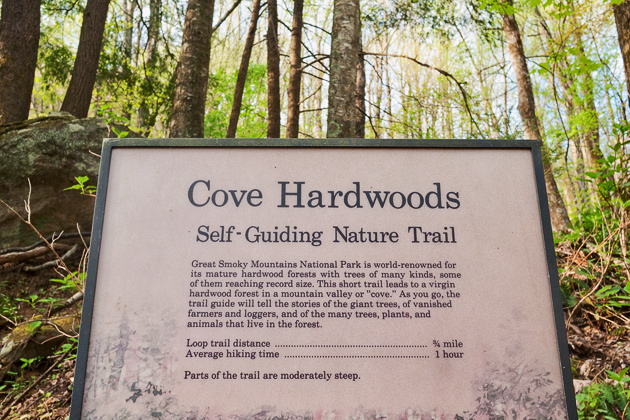 For ten months of the year the Cove Hardwoods Trail is a short unassuming excursion that is part of the Chimneys Picnic Area in the Smoky Mountains. But come April, this trail is transformed into a fairyland of wildflowers. You could hike this area every few days during wildflowers season and see something new each time. It’s an absolute bonanza for photos. While there are other top wildflower trails in the Smoky Mountains, such as Porters Creek in the Greenbrier or Chestnut Top Trail near Townsend, nothing can top Cove Hardwoods for sheer density of wildflowers in such a small area. The display is breathtaking. 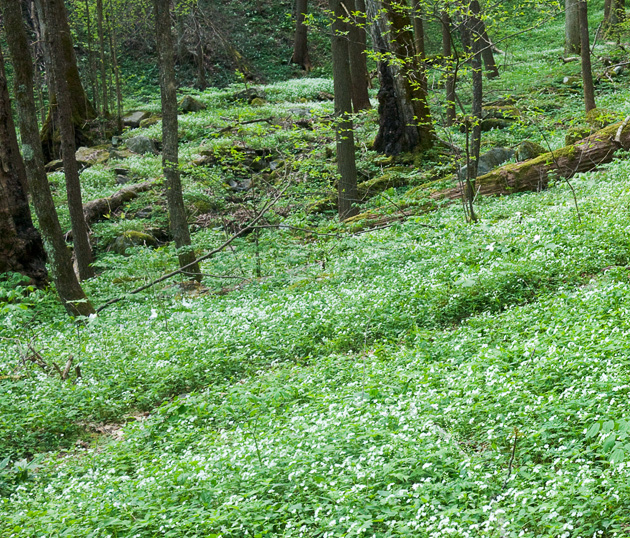 In the photos above not only is there a densely packed hillside of White Trillium, there is also a ground-cover of Fringed Phacelia beneath them! What a bargain it is to spend some time walking among this display on a gentle spring day. 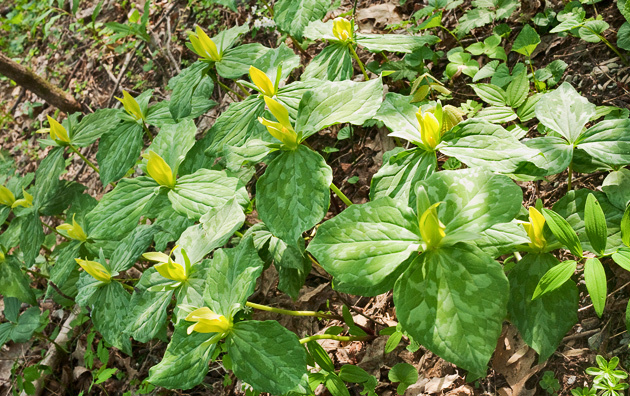 Below is a similar super-sized group of Yellow Trillium found nearby. 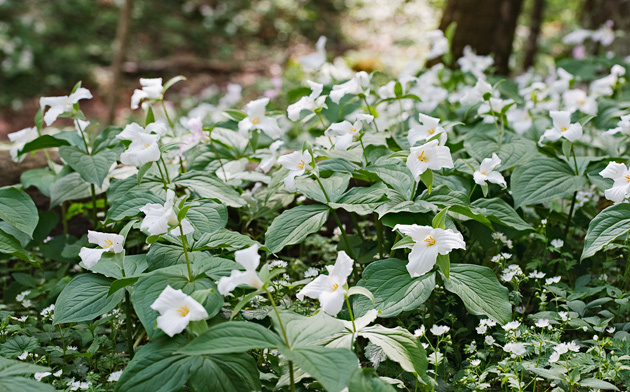 On a hike a few days ago I found the Trillium above, the Fringed Phacelia, hundreds of perfect Squirrel Corn specimens, Bishops Cap, Spring Beauty, Bleeding Heart, Rue Anemone, Toothwort … too many to recall. Please stop in and visit me to see the complete display of Smoky Mountains landscape photos at the William Britten Gallery in Gatlinburg, TN. If you are a Facebook user, you can get my daily Smoky Mountains news and photos by becoming a fan of the William Britten Photography Facebook Page. Curious if you recommend an ideal time for good light? ?